Audio.com.pl pens an absolute cracker of review for the iDSD! The iFi Audio iPhono is the stunning phono preamplifier that became the star of one of the boldest review experiments in audiophile history. Analog guru Michael Fremer paired it with an US$8,500 phono cartridge to see what would happen. The results? He couldn't believe his ears, and neither could the guests that heard the music. An extraordinary overachiever, it comes packed with six stereo EQ curves, adjustable MC load, dedicated MC stage, adjustable MM load, adjustable gain, and Class A circuitry with ultra-wide gain. The iPhono personifies high-end performance at a real-world price. "A few people I know came over and did some listening not knowing what they were hearing, thinking it was the usual stuff here, and no one, I mean no one complained...Can you pay a stronger compliment to a piece of US$399 gear in such a critical role in a system that costs hundreds of thousands of dollars? I don't think so!" IFI Audio iTube - test. Lamp versatility. Poland distributor - Moje Audio has kindly lent the iTube to David "Violator" Mushroom of blog.pclab.pl/ for testing!
" The end result is excellent, IFI audio equipment present themselves very well, they are fine-tuned in terms of detail...my system has gained smoothness, saturation and as a result - broadly defined musicality. The message was simply more pleasant to the ear...The conclusion is simple, iTube is no accident. It's just a very well thought out and built hardware, surprisingly versatile, in addition to fairly priced. Sterile systems do order. End of story. " Special Thanks to both David and Moje Audio for this review! 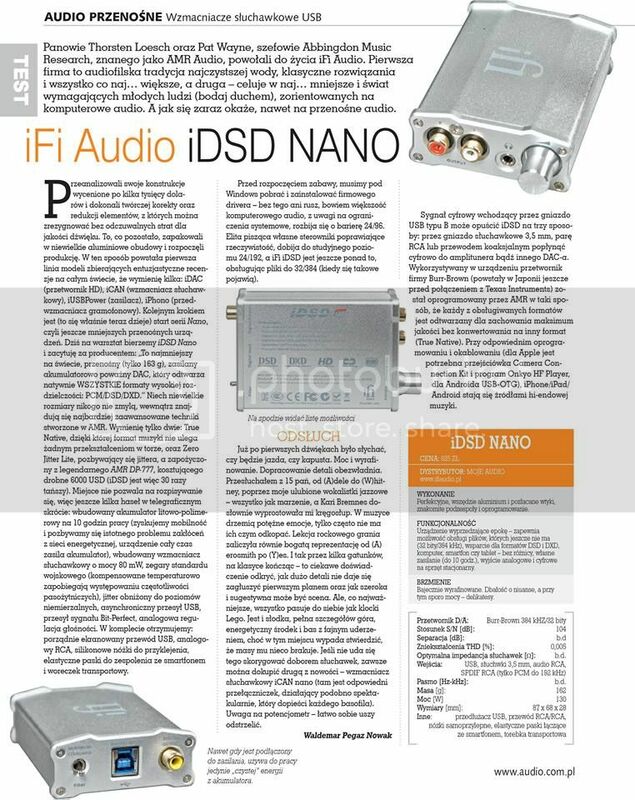 Sisco of audioplanet recommends the Nano iDSD!
" I was looking forward to this gadget by what I had read and seen of him...Well and most importantly .. the sound....the result is rEALLY BRUTAL .... the Ultrasone , Grado ... the move and sound perfect .. a truly balanced , clear and powerful sound ... maximum detail ... Dac and amp really make their role to perfection ...In short .. BUY 10 "
Thanks very much Sisco of audioplanet.biz! DigiLife reviews the nano iDSD as a portable DAC with Onkyo HF Player! With thanks to DigiLife and iFi Japan, “When compared with two albums, with a smooth sound really, Holly Cole of DSD does exude a whiff of digital. It appears to be Holly Cole singing, standing in front of you. And the size and placement of instruments varies as it should. You are transported, in terms of an image, a feeling, such as a picture of Chagall. This is also a multi-track recording of Holly Cole who has also released previous work, but I want you to put out the “Temptations” by all means. I think this album is also playing the recording at its best. Special thanks to suinspire of Earmass.com! iDSD Nano: Top-class says John Fernandes via wintech.pt! Thank you John Fernandes of wintech.pt for this post! 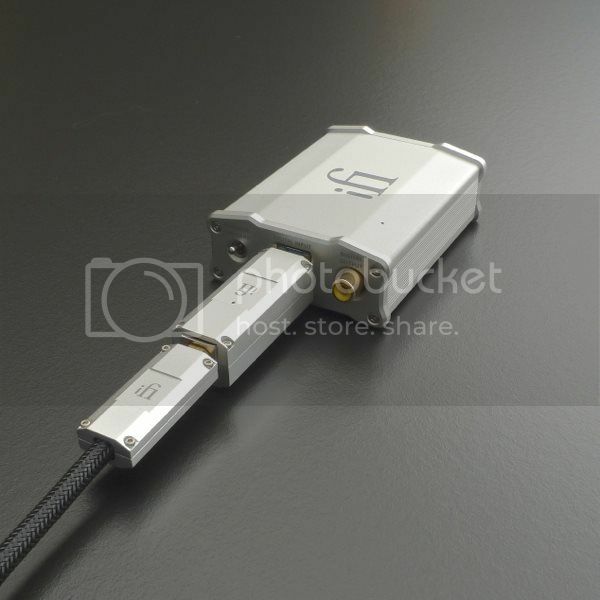 iFi nailed it: Customer Michael’s words about the Nano iDSD! Thanks very much for the review Michael Lavorgna of Audiostream.com! 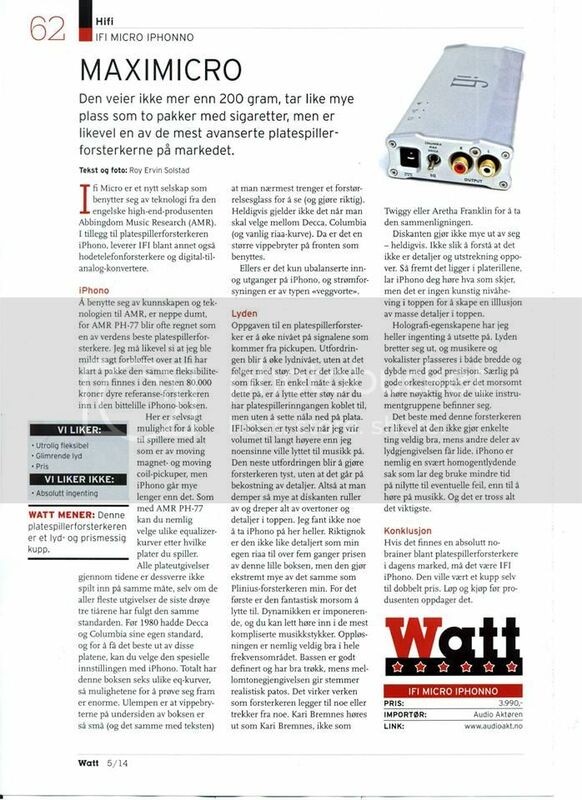 Watt magazine gives the iPHONO 6 stars (Top Score)! In the first part of the PDF Roy Ervin Solstad writes that ifi Micro is from a new company using the technology from the English high-end company Abbingdon Music Research (AMR). “First of all it is very fun to listen to. The dynamics is impressive and you can easy listen within the most complex parts of pieces of music….Kari Bremnes sounds like Kari Bremnes and not like Twiggy or Aretha Franklin….The best thing with this amplifier is that it does not do a few things very good, while other parts of the sound reproduction suffer. 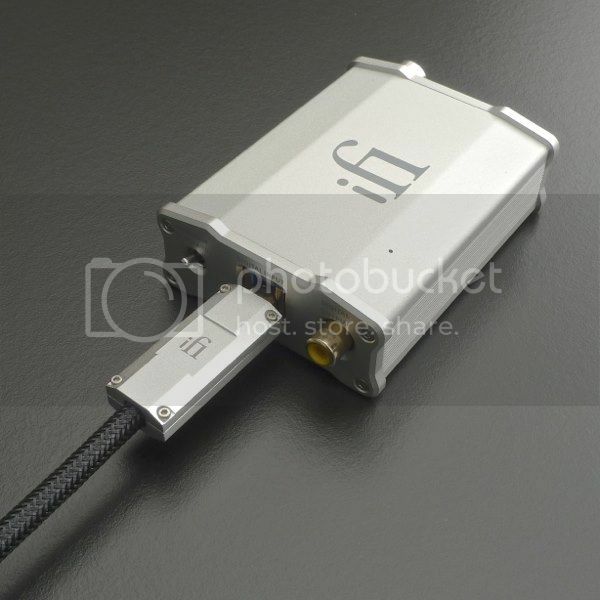 Conclusion: If there is an absolute no-brainer among phono-equalisers in today’s market, it must be the IFI iPhono. It would be a bargain even at a double price. Run out and buy before the manufacturer discover (that the price is much to low.)" WATT THINKS: This phono-equaliser has a sound and a price that makes it a coup (a bargain). 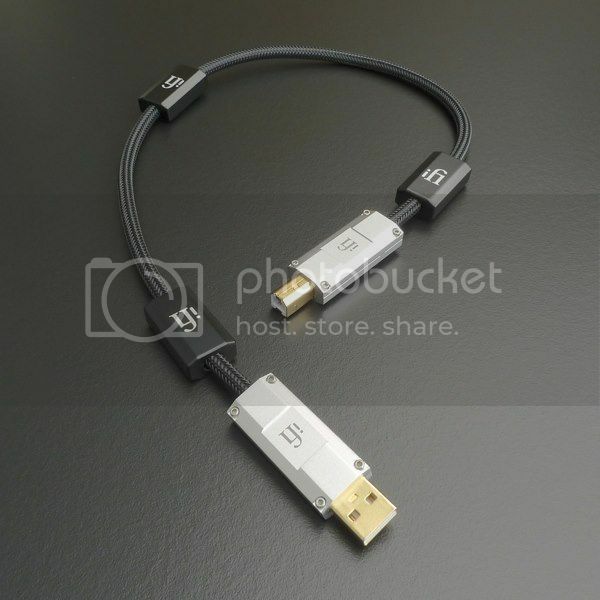 In Watt the best products get 6 stars; iPhono got 6 stars." 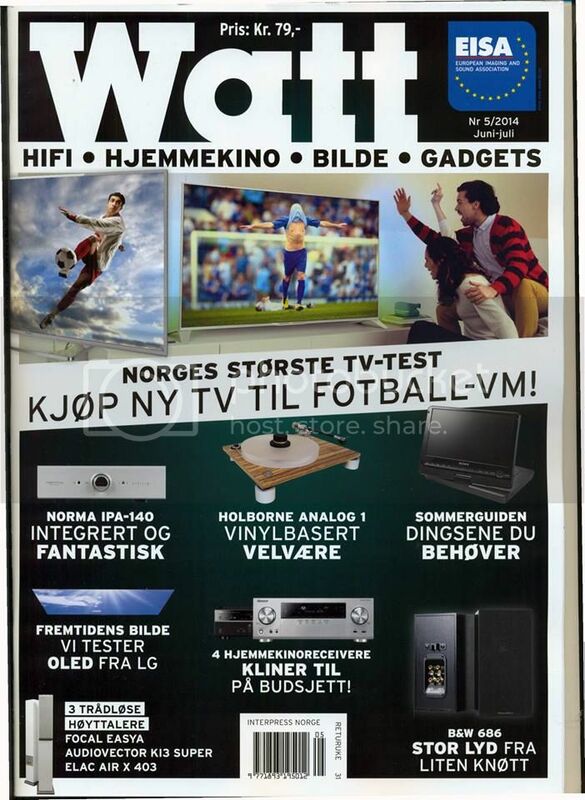 Special thanks to Watt Magazine (Nr), Audio Aktøren (iFi: Norway) and Roy Ervin Solstad! 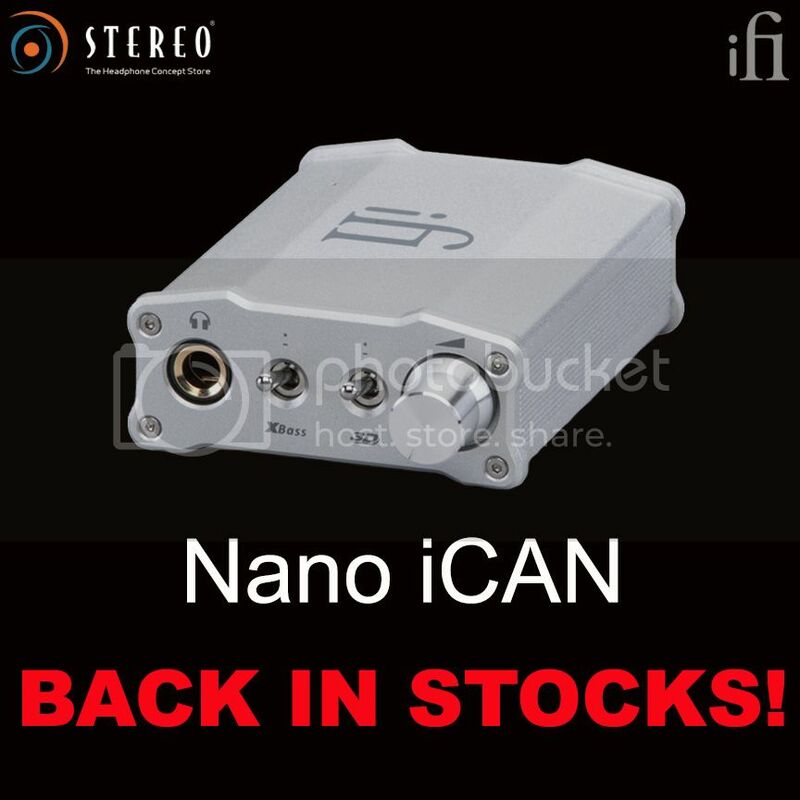 iFi Audio Nano iCAN - Small in Size. Tremendous in Technology. 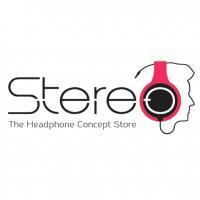 They are now back in stocks only at Stereo Electronics! We back this up with our 7-days 100% Money Back Guarantee which allows you time to ensure you made the right choice. Terms and conditions apply. iDSD Nano upgrade featured on Theabsolutesound! iCAN Micro video review by Arly Borg of Youtube! “Besides having quite competent sonics the iCAN also provides a very well done bass boost that’s well controlled and, generally speaking, clean. 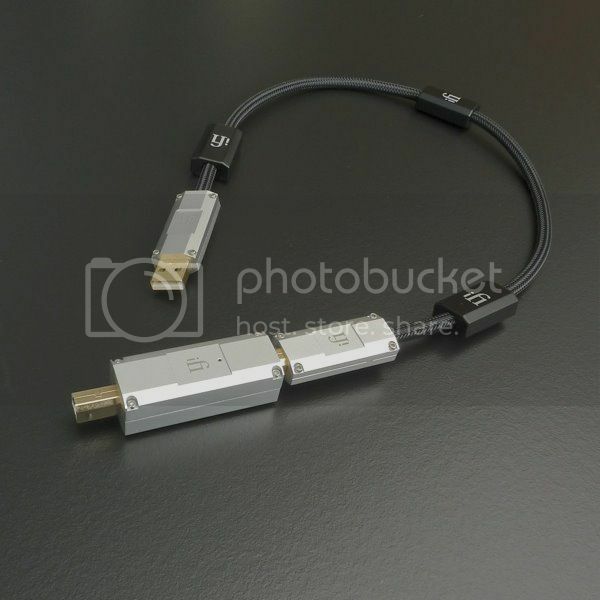 It also utilizes a type of cross feed circuit that when used will help expand sound stage which comes in handy if you happen to own headphones that sound claustrophobic. If that weren’t enough the iCAN delivers enough juice to easily drive high impedance 600 ohm headphones but can also drive highly sensitive IEM’s by utilizing power output switches, located on the bottom of the amp, which reigns in the juice. 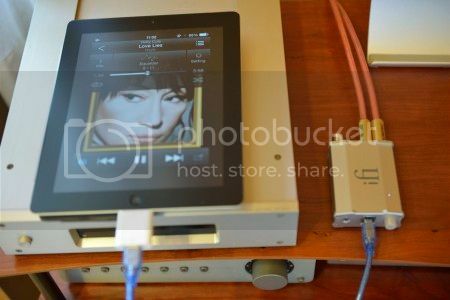 iFi Audio Micro iDSD Pre-Order @ $649! Yes, you saw it right! 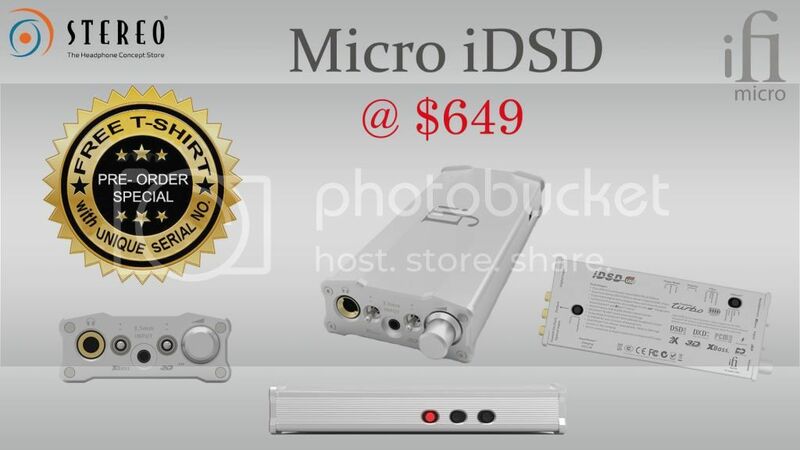 Starting 4th July, Stereo Electronics is accepting pre-orders for Micro iDSD. Pre-order batch is extra special with a FREE T-shirt plus a unique "Red Hot Turbo" serial number that comes on each set. We are expecting the stocks to arrive by mid or end of this month. Hurry and be one of the firsts 512-first batch unit owners worldwide and make a pre-order only at Stereo@Plaza Singapura or Stereo@ION Orchard!